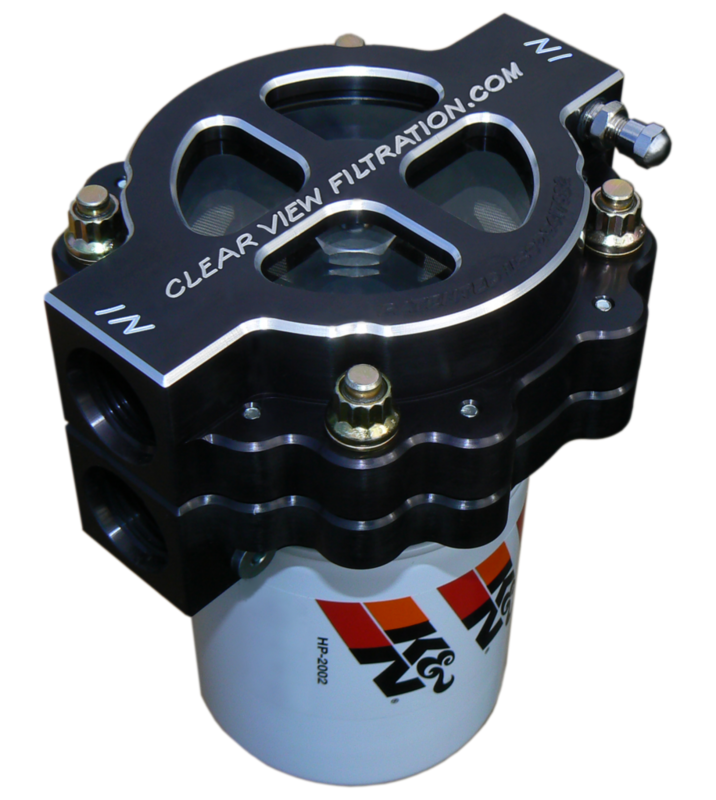 See Through oil filter assemblies allow the user to visually see oil pumping through the filter, which helps to determine the condition of the oil. 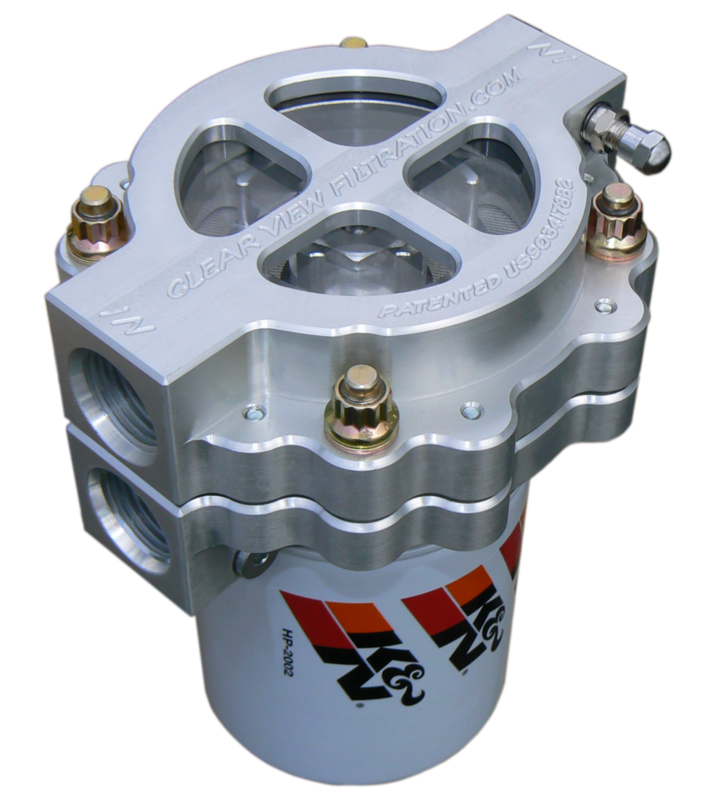 When oil is not being pumped through the filter it can quickly drained using an air chuck for filling tires and compressed air. A hand bicycle pump will also work. 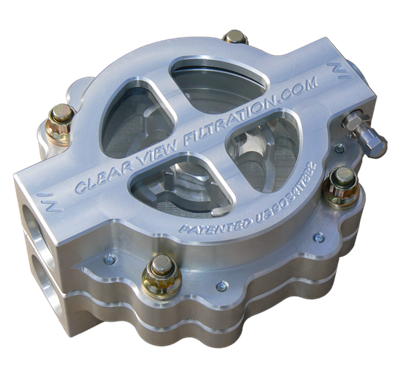 apply a small shot of air to the air fitting on the side of the inlet opening. 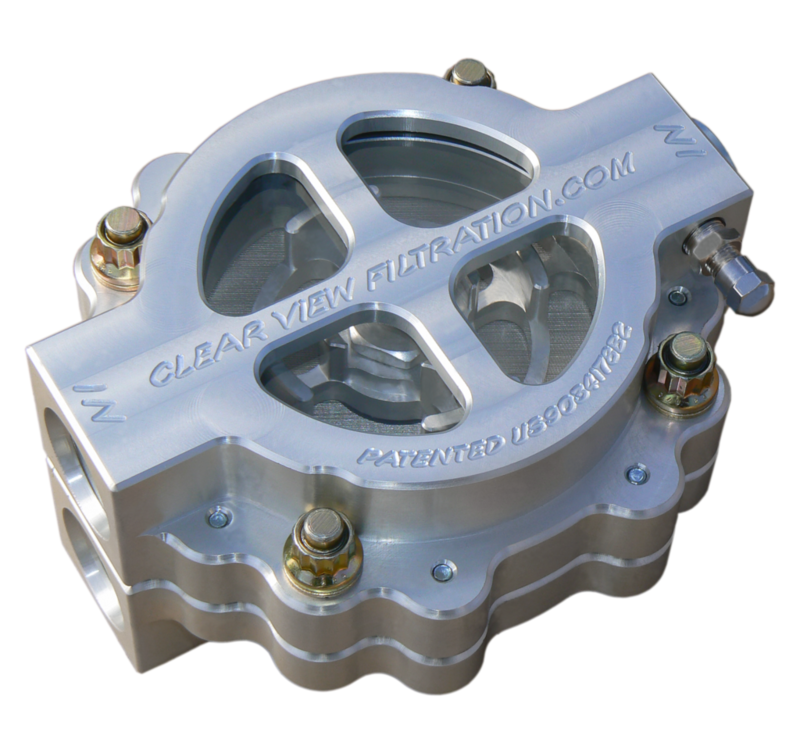 oil will empty out of the assembly in seconds exposing the filter element and filtered particles, even when filtering non transparent fluids like dirty oil. 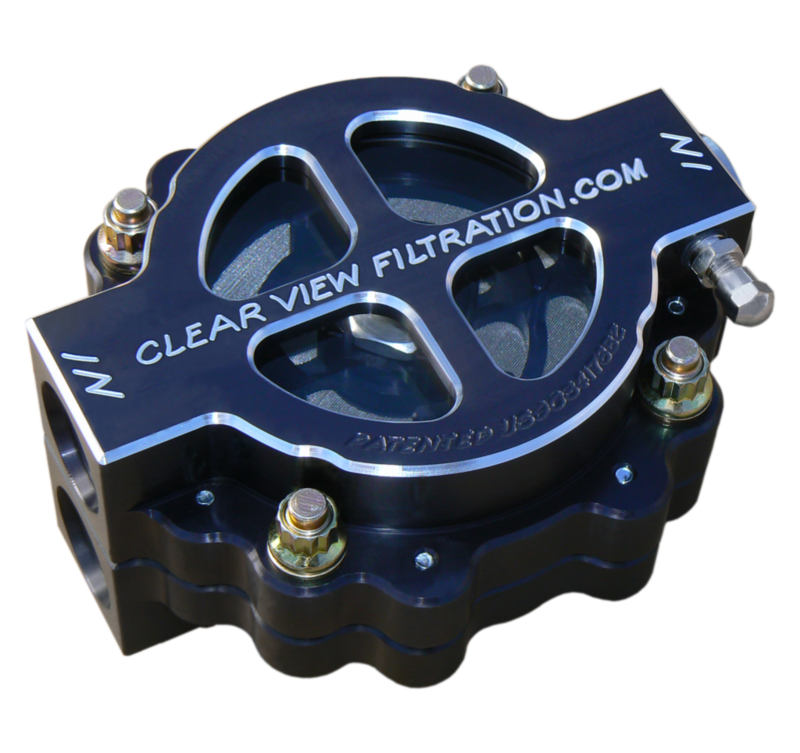 This allows the user to visually inspect particles and contaminants that were filtered out of the system to determine if they are from normal use or from bearings and other components excessively wearing in the engine or machinery supplying the filter assembly.